Is Dampness and Mould Making You Ill? 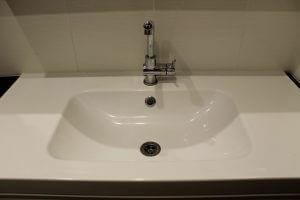 If you live in a building that is prone to moisture issues through poor ventilation or moisture collecting under areas such as sinks and showers, then mould could potentially be making you sick! Likewise, if there is a water leak getting underneath your carpets, plumbing from refrigerators, dishwashers, washing machines, etc, then there could be harmful mould under your feet and in the air without you even realising!. Roof leaks, around windows where condensation collects, even high humidity areas of your home are also hot spots. So, what is mould exactly? Mould is a collection of fungus spores that release toxins into the air. There are three main types of mould – allergenic (causes allergies or issues for asthmatics), pathogenic (infectious mould, particularly bad for people with weak immune systems) and toxigenic (produces toxins/poisons). What can these moulds do to you? Mould can look like a small or large collection of grey/black spots scattered through a room, up walls, under sinks, just about anywhere that moisture has collected and not been able to be dried out properly. It can spread through the underlay of your carpet or on the backing of rugs. It is usually odourless. The best way to avoid mould is to make sure that all wet areas such as laundries, kitchens and bathrooms are well-ventilated, and that there are no hidden leaks hidden under or behind appliances. Check for wet spots on carpeted areas near walls backing on to these wet areas as well. Unprofessional carpet cleaning can also be a trigger for mould if the carpets aren’t cleaned properly and are left damp for too long. It is one of the reasons carpet professionals such as Really Cheap Carpet Cleaning Brisbane are the best choice. We do a thorough job to make sure this doesn’t occur. We hope you have enjoyed reading this blog post, as always you can contact us any time to help keep your family safe and healthy. https://www.reallycheapcarpetcleaning.com.au/wp-content/uploads/2018/01/sink-663711_640.jpg 426 640 pippa https://www.reallycheapcarpetcleaning.com.au/wp-content/uploads/2017/05/Logo.png pippa2018-01-30 01:31:272018-01-30 01:31:27Is Dampness and Mould Making You Ill?